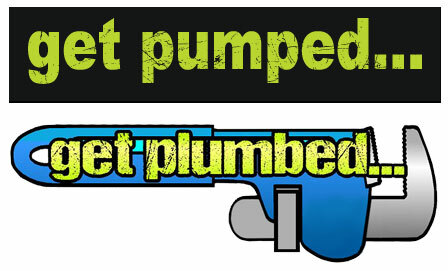 Urinal Block is an affordable aid for Fort Pierce and Port St. Lucie, Fl restrooms. This KRK Enterprises, Inc. sanitizing product will keep your bathrooms in excellent condition for your valued customers. Whether you or your business is in the Fort Pierce and Port St. Lucie, Fl areas we are happy to serve you! Used in urinals, each blue flush of the water releases special cleaning agents plus a specially formulated bacteria blend that keeps your urinal and drain lines clean and odor free. Non-toxic, non-corrosive, and safe for all drain lines and septic systems, Urinal Block is your long-lasting urinal care. Bacterial enzymes work constantly to digest waste in pipes, septic tanks, and leach fields. A small amount of the Bio Rooter® Urinal Block dissolves with each flush of the urinal. Bacterial enzymes, surfactants, and chelating agents combine to keep the urinal clean. Waste material flows through the sanitary piping on which bacteria forms a bio-film. The bacteria prods the enzymes to remove any organic matter. One of our strains of bacteria is specially formulated to digest Urea or Uric Acid, more commonly known as uric salt. The biological action will continue down the entire drain system to clean and reduce odor. When a septic tank and leach field are part of the sanitary system, bacteria will naturally attack and biodegrade waste in the septic tank. This will keep your entire sanitary system clean and free of odors. The Bio Rooter® cherry fragrance urinal block does not contain any filler material, therefore will not break apart as it starts to dissolve. The Bio Rooter® Urinal Block is encased in a plastic holder that has a special splash guard design. The clear plastic wrap will dissolve as soon as it gets wet. Each urinal block contains billions of bacteria that are specially selected for their ability to produce enzymes that digest fats, oils, grease, protein, starch, paper, and urea. The urinal block will last approximately 1,500 flushes. 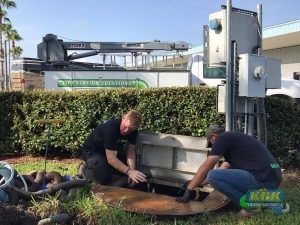 Contact KRK Enterprises, Inc. today to sanitize your Fort Pierce and Port St. Lucie, Fl public restroom with Urinal Block today. Dial 1-800-330-7686.